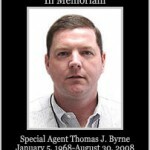 A Houston DEA agent in New Orleans was robbed and murdered while attending a conference on organized crime drug enforcement. Two people are now behind bars in connection with his death last Saturday. Authorities have arrested two people linked to credit cards stolen from a Woodlands federal agent who died after he was severely beaten during an apparent robbery in New Orleans last week. 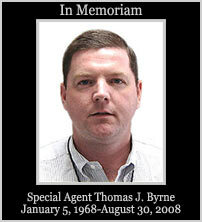 Thomas Joseph Byrne, 40, of The Woodlands (Tex. ), who worked as a supervisory special agent with the Drug Enforcement Administration’s Houston office, died Saturday in a New Orleans hospital from injuries he suffered in an assault and robbery Aug. 28, officials said. Posted: 9/6/08 at 12:29 AM under News Story.